Founded in 1949, the Research Institute for Linguistics at the Hungarian Academy of Sciences is internationally recognized as the leading research centre for the Hungarian Language pursuing cutting edge research in a number of areas such as theoretical linguistics, synchronic and diachronic study of the structure and use of Hungarian. Its Finno-Ugric Department is actively engaged in projects concerned with the documentation and digital vitality of endangered languages. 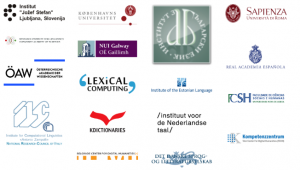 Apart from its theoretical research, the Institute is actively engaged in experimental research in neurolinguistics, empirical study of language production and language processing as well as aphasiac studies. Dr. Tamás Váradi (PhD) is manager for projects and innovation and head of the Department of Language Technology and Applied Linguistics. He graduated in English, Spanish and General Linguistics at Eötvös Loránd University and holds a PhD in English Linguistics from the same university. Early in his career he acquired international recognition through his pioneering research in second language acquisition. His empirical research into the spontaneous speech of second language learners led him into the field of corpus linguistics. Bálint Sass (PhD), research fellow, has worked in the field of computational linguistics since 2001. He majored in computer science and then defended his thesis on an automatic lexical acquisition method to create a corpus driven dictionary of verb centered constructions in 2011. He worked with several corpora created at the Institute, e.g. the Hungarian Gigaword Corpus or the Old Hungarian corpus. His field of expertise is corpus querying and corpus query interfaces. He has been involved in several national and international projects, he is also the author of the new Hungarian contracted Braille script. Recently, he is taking care of the e-magyar.hu text processing system, and building verb centered constructions from lego bricks. He is a Linux power user. Dr. Veronika Lipp (PhD) works as a lexicographer at the Department of Lexicology and Lexicography. She graduated in Hungarian Language and Literature at Eötvös Loránd University (2001), received her PhD from the same university (2011). At the department she is responsible for developing and maintaining the electronic historical corpus, and she writes dictionary entries for the Comprehensive Dictionary of Hungarian. Since 2017 she has been functioning as the scientific secretary of the institute.